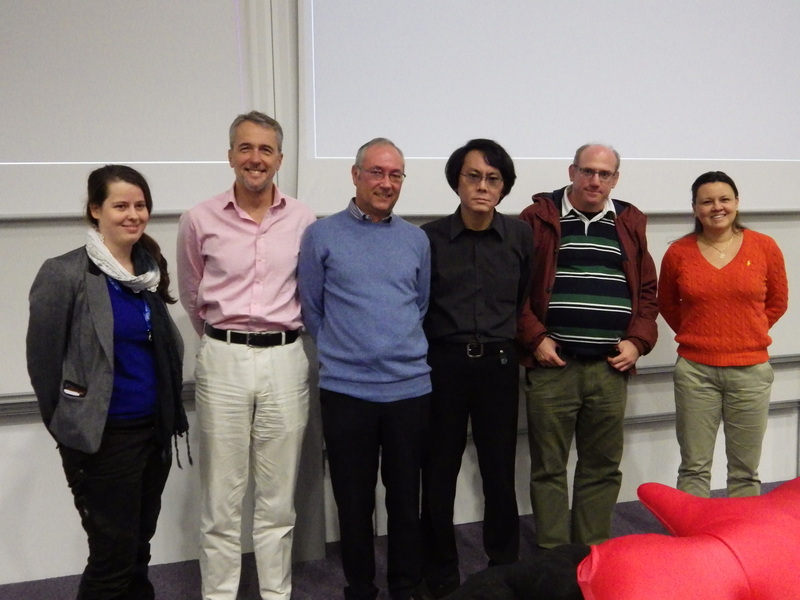 On Tuesday 18th November, on behalf of the Edinburgh Centre for Robotics, Professors Ruth Aylett and Nick Taylor in School of Mathematical and Computer Sciences hosted a visit by the renowned roboticist Prof Hiroshi Ishiguro of Osaka University and the Advanced Telecommunications Research Institute of Japan. 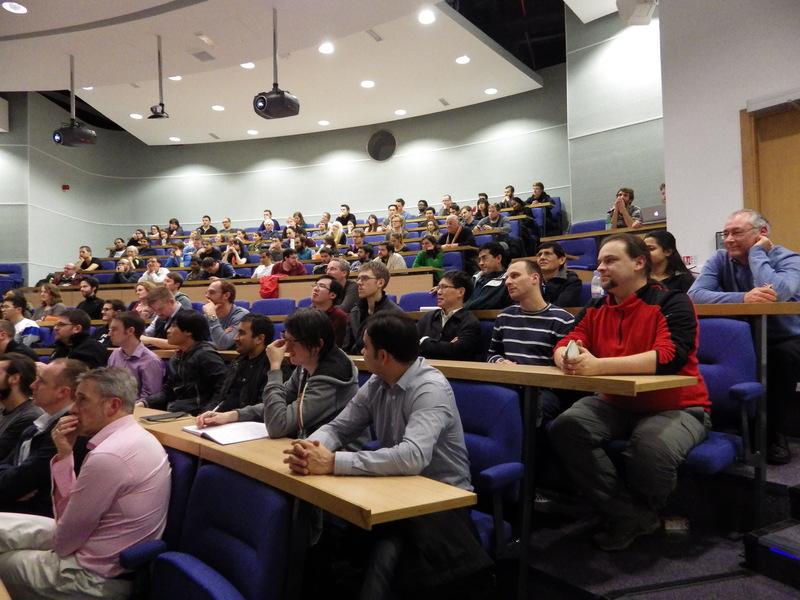 Prof Ishiguro delivered a talk to a packed Cairn Auditorium (capacity 150) in Heriot-Watt University’s Postgraduate Centre. 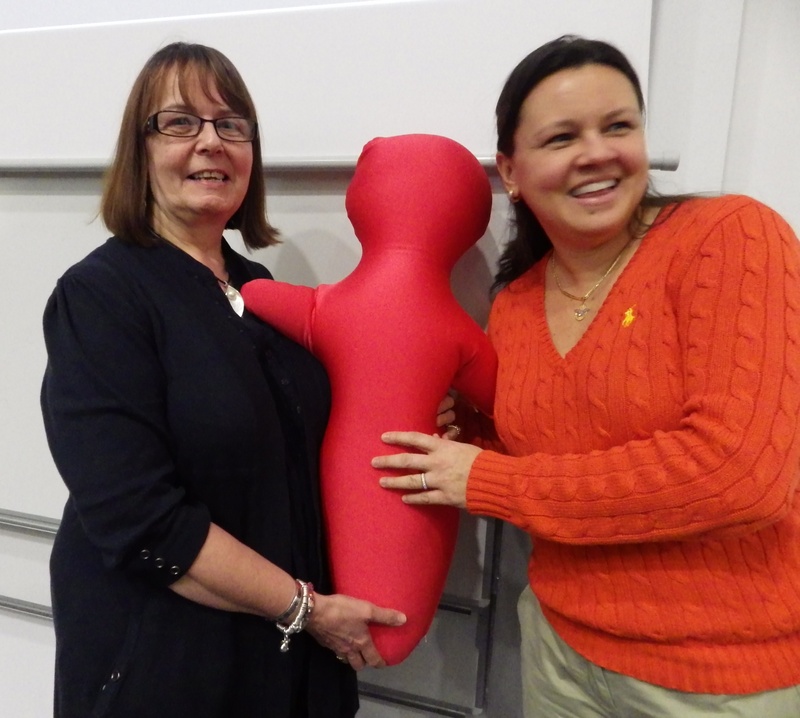 An edited recording of Prof Ishiguro’s lecture will soon be available from the website. Hiroshi Ishiguro specialises in exceptionally human-like androids and is perhaps best known for his life-size Repliee R1 modelled on his daughter (aged 4) and his Geminoid HI-1 replica of himself, constructed in 2006. His illuminating and thought provoking talk was peppered with humorous comments and anecdotes, including a joking (?) suggestion of plastic surgery now that he is nearly 10 years older than his android alter-ego. Ishiguro’s androids are tele-operated and he uses them to investigate Human-Robot Interaction (HRI), or more accurately as he puts it, Human-Humanoid Interaction (HHI). His research is as much a study of people as it is of robots and he says that his primary research question is “what is a human”? 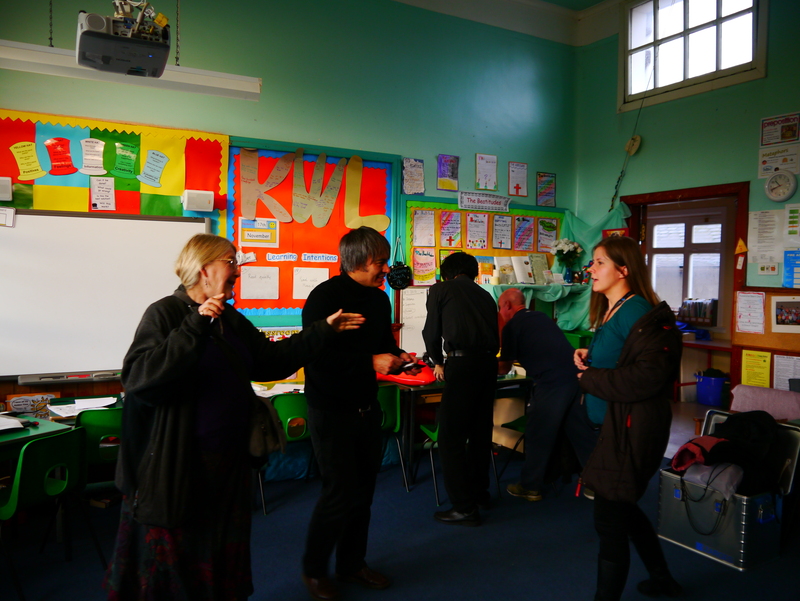 Earlier in the day Prof Ishiguro had run a workshop entitled “Kids Love Robots” at St Mary’s primary school in Leith which was organised by Prof Ruth Aylett and colleagues in the School of Mathematical and Computer Sciences in conjunction with Prof Adrian Cheok of City University and Yoram Chisik of the Madeira Interactive Technologies Institute.